Tienda de Sandalias de piel serraje con hebilla para niños pequeños. > First Steps>Sandals>New suede leather sandals for little boys. New suede leather sandals for little boys. 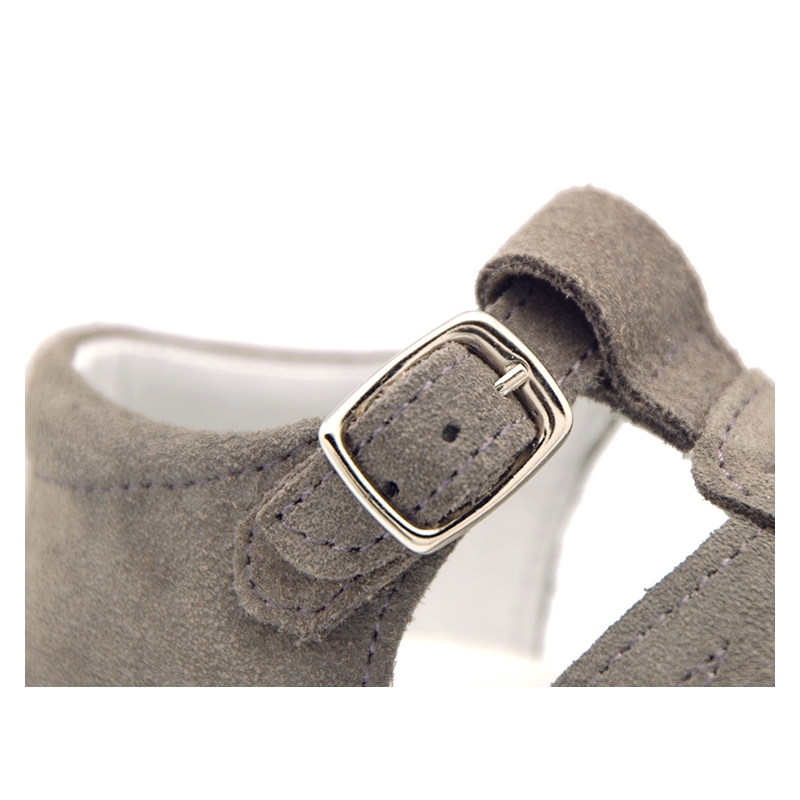 New suede leather sanda shoes for little boys with buckle fastening. More info about New suede leather sandals for little boys. 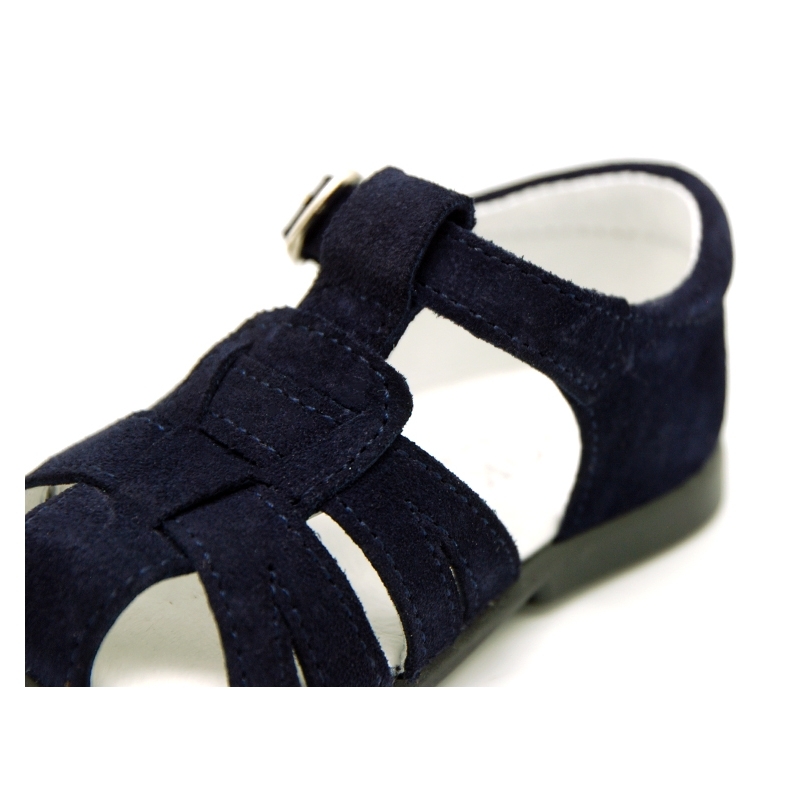 Updated Classic sandal shoes with buckle fastening, for little boys in suede leather. Made up of 100% high quality natural suede leather. Very classy and fits with every garment this spring summer. Very soft and fluffy. ItÂ´s a new model totally renovated of the classic one. MIx and macth with all their garmetns this season. Fully lined in leather with anatomic footbed, which facilitates the natural growing of their feet, and perforated for good perspiration. 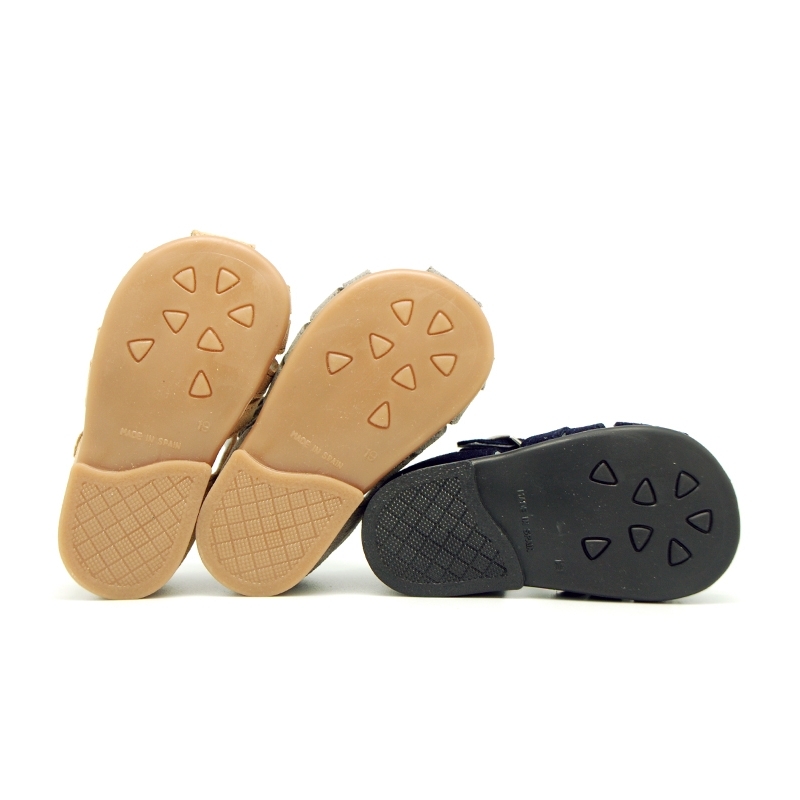 Outsole made up of non-slip high quality rubber to dress, and totally flexible in order they can learn to walk without problems. Available in 3 colors. Sizes range: from 18 Euro size up to 25 Euro size. SIZING REGULAR. Data sheet about New suede leather sandals for little boys.